I am taking the time to write this thank you letter to PDC because of the incredible customer support we received when we were in need. I have never had to ask PDC to do any service or rush any parts on any of the 6 PDC compressors I have bought in the last 14 years. This is because your units have always run as expected and we have always had your recommended critical parts in stock. We had never previously experienced a failure on any of these units. Our recent crisis came about because of an undiagnosed failure of our heat tracing, combined with a concurrent process upset. These conditions lead to extreme cold causing compressor oil thickening, causing higher than normal vibration. These excessive vibrations lead to an unrecognized oil leak. The oil leak eventually caused cavitation in one of the compressors which lead to a failure of lower end parts. We were not able to properly diagnose this problem until we had Wayne come out to our site, He led us through a regimented trouble shooting approach, which led us to find that we needed to replace the entire lower end and crank case. This was of course on a Friday afternoon. This failure showed the main Safety and Quality reason that we use your diaphragm compressors, even with a lower end mechanical failure, caused by cavitation, leading to extreme vibration; we never experienced any process leaks to atmosphere or any mixing of oil and process gas. We had some parts in stock at a warehouse, unfortunately we had not rust protected these parts and when we opened our crate we found rust had made these parts not functional. We also felt that because of the mechanical failure we should replace the entire crankcase, because of the potential for metal particles to cause a future bearing failure. In phone discussions with Jarrod, we agreed that the best course of action was for us to send the parts we had back to PDC, to see if the rusted parts could be fixed. PDC was going to see how quickly they could provide us with a new Crankcase. We knew at this point there was a crankcase close to ready but it needed to be finished and painted. On Saturday I called Garry Gallo, our longtime salesperson. Garry answered the phone, even though he was on vacation, it was Saturday and he was at a car show. Garry told me that they were working on it but for more up to date information he gave me the cell number for Tom Greco. When I first spoke to Tom early on Saturday he said that he had people working on everything, but he was not sure if we would be able to get all the parts on Monday. I spoke to Tom later in the day Saturday, and was extremely relieved to hear that the parts would all be ready and driven to our site on Monday, with Wayne to help us rebuild the units. I came in early (for me) on Monday at 7:30 am, and found out that Wayne had arrived at our site just before 6:00 am on Monday and had worked showing our maintenance team how to install the pistons, piston rings, and rider rings in the sleeves. Wayne must have left before 3:00 am to arrive at our site with the parts that early! Wayne not only helped us rebuild the compressors, but also took the time to teach our maintenance team the right way to rebuild each component and the reasons it was important to do it that way. Wayne also showed us a much better way to prime the compressors cutting our time from 4 hours to about 15 minutes. Your team’s incredible response during this event, combined with how well PDC compressors have performed for us over the last 14 years, will continue to ensure that PDC Machines is our preferred compressor supplier. PDC supplied several Hydrogen compressors to McPhy mainly for hydrogen refueling stations and also for industrial applications. The quality of the technical advice during the design and construction phases, the good respect of the agreed schedule and the effectiveness of the after-sales are particularly appreciated. PDC has been a great partner in the development of McPhy. Proton Energy Systems Inc. d/b/a Proton Onsite has installed numerous compressors from PDC for hydrogen service in various locations and applications all around the world since about 2006. Some of them are located in extreme environments such as deserts and coastline. Our experience shows that the compressors are extremely reliable and in the rare occasion they are in need of any service, the support from PDC is terrific. Wish you could have been there today for the plant grand opening, but know you’re a globetrotter! We publicly acknowledged yours and PDC’s expertise and contributions to the success of the largest University H2 facility in the nation! The U.S. Dept of Energy, CA Energy Commission, National Labs and many others were informed of PDC’s role, and there were several hundred hydrogen industry supporters present! Please accept my personal thanks, and convey Cal State University Los Angeles’ appreciation to your colleagues at PDC. HydraFLX Systems LLC has been a DLA (Defense Logistics Agency) registered consultant and defense contract actuary since 2001; specializing in innovative research and development of gaseous fuel technologies and early commercialization of hydrogen and fuel cells. Under a Memorandum of Understanding between the United States Air Force and the State of Hawaii, HydraFLX was selected to stand up the National Demonstration Center for hydrogen and renewable technologies at Joint Base Pearl Harbor Hickam in Hawaii, to advance the use of hydrogen in military ground support and commercial applications, drive down the cost of safe, deployable infrastructure, and develop seamless integration with renewable energy. 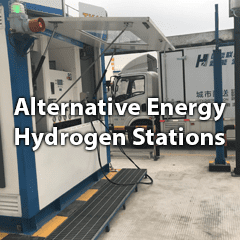 Three hydrogen technologies initially demonstrated at JBPHH are used in commercial markets today. We have tested and demonstrated five gas compressors over ten years time at the research site. The two (2) PDC Machines hydrogen gas compressors have outperformed all competitors in our three main categories of analysis: electrical efficiency, through-put gas flow efficiency and cost. We are extremely pleased with PDC’s trouble-free operation and ease of maintenance. In four years time, we had but one minor issue with one of the units and found that PDC’s factory support is second to none. We were back up and running in no time. Their factory floor technical folks are first class. HydraFLX cannot more highly recommend PDC Machines to anyone seeking high-quality, long-lasting equipment that is as durable as it is easy to operate. Their automation team obviously has abundant experience putting together custom machines and integrating them with different dispensers, high pressure storage and pressure management safety systems. PDC Machines has been an integral supplier of diaphragm compressor systems and piping skids to Linde for more than a decade. Their ability to tailor a packaged solution extends well beyond the robust compressor to include UL panel fabrication, navigating US and foreign electrical/mechanical code requirements, PLC control systems, and vessel code stamping. And with their extensive machine shop and two fabrication facilities, PDC Machines has the ability to tightly manage our project’s safety, budget, and schedule goals. After commissioning, their exemplary customer service comes to the forefront with same day spare parts shipments and technical support, at any time of day. PDC Machines is a solid top-tier supplier. 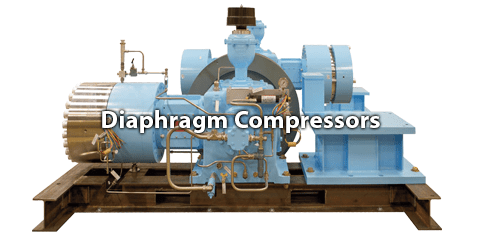 Airgas considers PDC Machines a Preferred Vendor for Compressors. They are listed on our National Resource Manual which covers all the Airgas Plant operations. PDC Machines has shown they are a very reliable vendor. We have been using their compressors for transferring product from our tube trailers to cylinder in our Airgas plants for over 11 years. We have found their compressors to be very reliable which is critical to serving our customers in a timely manner. Oceaneering required a compressor that is capable of transferring breathing grade mixtures of helium and oxygen for use with its Saturation Diving Systems. 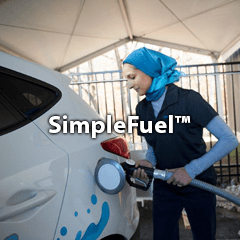 Using the compressing in conjunction with a blender, the system can blend its own gas and help eliminate the need for large amounts of pre-mixed gas, which saves storage space and weight. This compressor is used every day while the system is in the Diving mode. In 2005, Oceaneering purchased a compressor model PDC-4-600-2500 for this application. Since we have had the compressor it has performed well with only regular scheduled maintenance. Based upon the performance of the first compressor, we have purchased an additional compressor PDC-4-800-3500 in 2011. To-date, we are pleased with the performance of both compressors. PDC Machines provided prompt technical support when their assistance was required and spare parts were sent to us within 48 hours. Maintenance of these two compressors was very minimal which meant operating costs were low. Should there be another requirement for a compressor, we will not hesitate to contact PDC Machines again. FIBA Technologies, Inc. has been working with PDC Machines since the early 1980’s and have been using their compressors in conjunction with our tube trailers for transfilling all types of gases including helium. Throughout the years we have acquired more than 50 compressors covering a wide range of models to meet our customers varying flow rates. Throughout these 30 years plus, we have found PDC Machines’ compressors to be reliable, with on time quick delivery. Shipments of spare parts were prompt and technical support has always been available when needed. We still continue to conduct business with PDC Machines. We purchased a PDC-4-2500 compressor from PDC Machines in 2006, and we have put 2000 hours of usage in it with minimal maintenance (I.e filters, oil changes). We replaced a Hamworthy Compressor which needed service every 100-200 hours; during one-year span we spent $ 30,000 on maintenance. The other thing I would like to point out is the customer service aspect of PDC Machines, when we have questions, we wait no more than 24 hours to get our answers with most answered immediately. In 35 years in the compressed gas business I have never felt as satisfied as I am with my PDC Machines unit. Air Products and Chemicals, Inc. has been working with PDC Machines since 1998. PDC Machines has been an important compression equipment supplier on numerous hydrogen fueling stations for our Hydrogen Energy Systems group. During this period, we have acquired almost 100 compressors from PDC Machines. We have found PDC Machines to be responsive to our needs. Technical support has been excellent for our projects and is quickly available in emergency situations. Delivery of PDC Machines supplied compression equipment has been on-time and PDC Machines has performed well when we have needed a quick turnaround on orders. Shipments of spare parts have been prompt and aftermarket support is very helpful. PDC Machines has been a reliable supplier and they stand behind their products. We look forward to continuing our business with PDC Machines. PDC Machines have provided us 2 unit of hydrogen Diaphragm Compressor model number: PDC-13-500-500, that are currently operating continuously for 18,000 hrs which is equivalent almost two years. The machine has been running 24 hours/day and 365 days/year to recycle the hydrogen to our hydrogenation unit. As far as our maintenance concern, we only are having trouble during commissioning since a lot of dust/rut passing through the pipe. Once it is resolve through proper filtering, the compressor runs smoothly without having any problem. The latest maintenance activity was replacing the drive belt due to belt worn out in June 2003. As for the diaphragm, we have not replace the diaphragms since year 2001. – Petronas Ammonia Sdn Bhd. We have installed the diaphragm compressor, model number: PDC-2-6000 since 1999 to supply the hydrogen gas to our pilot plant for hydro-treating and hydrocracking processes. The compressor has been supplying 240 bar of hydrogen gas 24 hours per day without much of problem. So far, this compressor does not need much of maintenance except changing and topping up the hydraulic oil. Once a while, the drive belt will become loose and require to be tightened. The only concern that we have is the huge consumption of water as cooling medium and this has increased our operating cost. Overall, we are quite satisfied with this hydrogen compressor. Air Liquide Brazil has purchased and installed a compressor from PDC Machines model number PDC-13-300-3750 for filling tube trailers with helium gas back in 2010. The flow rate was 97 Nm3/hr at 250 bara discharge pressure. During the installation we needed technical support from PDC Machines. They responded promptly and sent an experienced engineer to assist us. The compressor has been running smoothly since then. It has been running now for 1400 hours without any issues. PDC Machines has always been prompt in their support when needed. As a result we placed an order for another helium compressor. We expect it to be shipped end of August and on time. We are using couple PDC compressors and quite satisfied with the performance and after sales services.